Continuing with this interview from RIA Novosti in which Nicolás Maduro, the President of Venezuela speaks with Russian journalist Dmitry Znamensky. Where we left off, Maduro mentioned his numerous attempts to make contact with U.S. President Donald Trump; but it seems the latter won’t return his calls. Maduro is convinced that John Bolton (Trump’s Security Advisor) is running the show and won’t allow Trump to talk to him. Meanwhile, Westie propaganda outlets have been caught out in still another lie. Recall how, every time the U.S. targets another nation for regime-change, their media start showing heart-rending images and videos of desperate refugees. Refugees fleeing from Iraq, Libya, Syria, etc. The starving refugees and the “humanitarian crisis” (whether fake or real, engineered or authentic) becomes a vital component of the drumming narrative for regime change. After all, people are so desperate now that something, anything must change! Regardless of the consequences. What do we want? Change! When do we want it? Now! Stampede the herd, boys! In the Venezuelan situation, the “refugee crisis” meme has almost zero credibility. For sure, we have seen images of rather well-fed Venezuelan political dissidents chatting with American reporters just across the border, in Colombia, and claiming to be starving to death. But the Russian news channel VESTI has debunked the refugee B.S. in this linked piece. In the video segment, Russian reporter Stas Natanson reports how the “humanitarian refugees” are simply shoppers. Natanson traveled to the Colombian town of Cúcuta, the goal of many Venezuelan day-trippers. If you watch American propaganda channel CNN, the starving but defiant Venezuelan people are fleeing there to escape the “tyranny” of President Maduro. 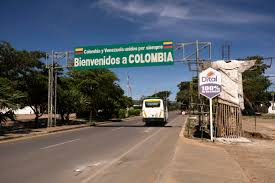 But according to Stas, these people do cross the border into Colombia, but just for a day, to stock up on consumer goods, and then they return to their homes, back across the border, back to Venezuela. In this respect, they are not that much different from American shoppers who pile into their cars and drive (maybe across a state border) to some outlet mall. And then return home on the same day. Real refugees flee with all their belongings in a cart. Natanson watched the (mostly paunchy) starving Venezuelan “refugees” entering Colombia with empty shopping carts, and returning to Venezuela with full carts. For sure, this says something about the Venezuelan situation and certain real problems distributing consumer goods. [It’s not a production issue, by the way, it’s an issue of distribution.] But this still doesn’t speak to the so-called “tyranny” of the government. Natanson also points out that the “refugees” are given approximately $30 dollars per head by the Colombian government, as “humanitarian aid”. “Per head” includes children, so the “refugees” bring their kids along too. They use the money to go shopping (and boost the Colombian economy). 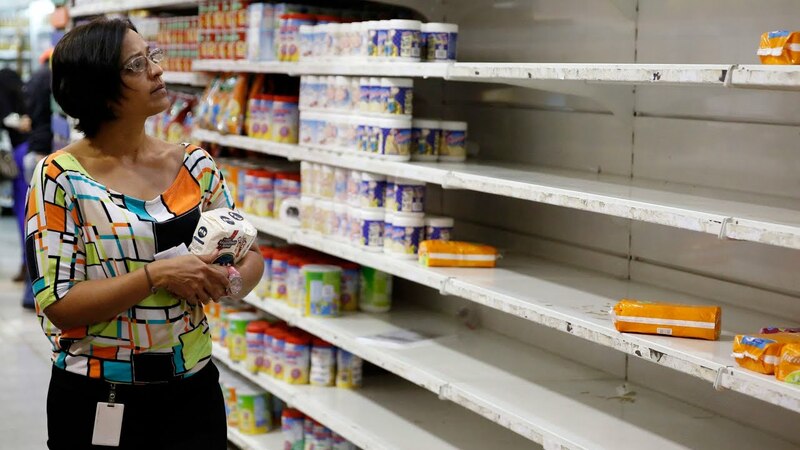 Venezuela is experiencing real problems with distribution of certain consumer goods. Natanson also points out one of the reason why these Venezuelans are stocking up on clothes, food and medicines. It isn’t just because of the shortages at home. Recall how American consumers, just before a predicted snowstorm, rush to the stores to stock up on milk and bread? Well, the Venezuelans have also been told that a storm is coming. A war. John Bolton has already thrown broad hints about his troops standing in waiting, to invade, just across the border in Colombia. The Venezuelans don’t know what is going to happen in the near future. Better to stock up ahead of time, just in case. Any ordinary person would do the same, in similar circumstances. Z: How does it seem to you, what are the main motives for U.S. actions in Venezuela? Is it just about the oil? M: There are several reasons. The main one, of course, is to get at Venezuelan oil, because we have the largest reserves of certified oil in the whole world. We also certify that we have the largest reserves of gold in the world. We have the fourth largest reserves of natural gas, we have large reserves of diamonds, huge reserves of fresh water, aluminum, iron. We are a major power when it comes to energy resources, natural resources. Bolívar liberated Venezuela from the rule of Spain. But there is another factor that you need to keep in mind, and this has been going on for over 200 years. 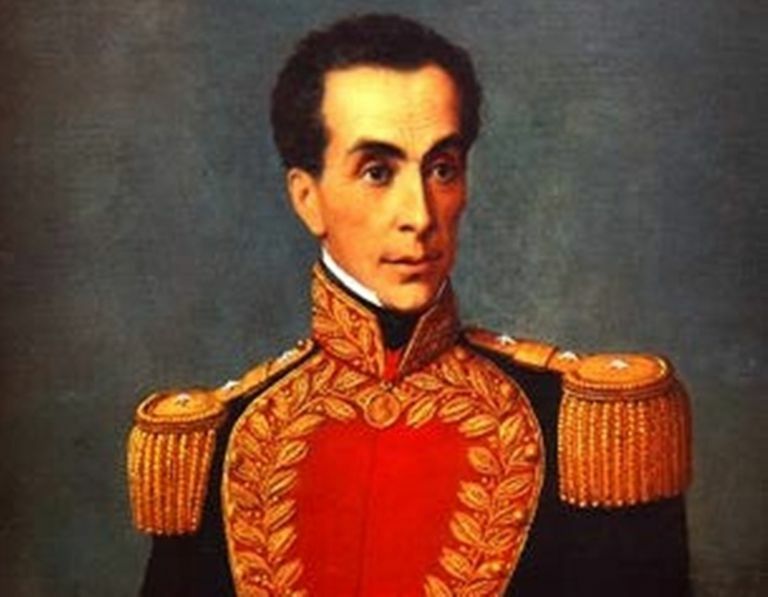 Venezuela is the nation where (Simón) Bolívar was born, we have the greatest Bolivarist tradition here. Our revolutionary project, over the course of 200 years, has had an influence on Latin America and the countries of the Caribbean Basin. They (the Americans) want to root out this example, this idea, the spirit of Simón Bolívar. That’s the second biggest reason [for the intervention]: to put an end to that spirit. Spiritually, culturally, politically. And to move us back, without any kind of resistance, to the era of neo-colonialism in the nations of Latin America. They consider us to be their backyard. And we say that we are nobody’s backyard, we are independent republics. How would you say it in Russia, we have a 200-year-old impulse, we are winning, and we shall win. Z: If relations should improve, will American companies, primarily oil companies, be able to return to Venezuela? M: Over 3,000 American companies are registered in Venezuela, they continue to operate here. In the oil industry we have such companies as Chevron, with huge investments. I say this to the American investors in the sphere of oil, gas, tourism, technologies, gold, diamonds: Notwithstanding the tense relations with Trump, you are welcome here, go ahead and invest and work in Venezuela. We will not allow the tensions to interfere with American investments in our country. We are happy you are here.